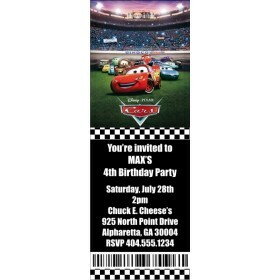 Cars Photo VIP Pass Invitation with Lanyard When your guests receive a Cars Photo VIP Pass Invitation, you'll make them feel famous! 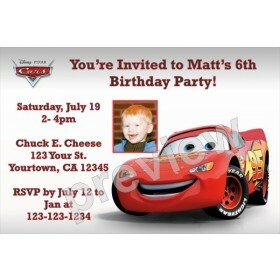 This invitation features a 4x6 invitation that inserted into clear vinyl pouch. A black lanyard is included. 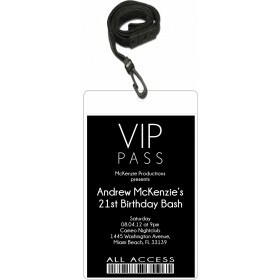 The lanyards are adjustable and break-away (quick-release) for safety. 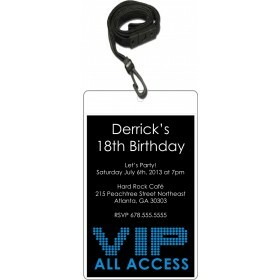 Personalize the VIP pass with a photo, and your party info.